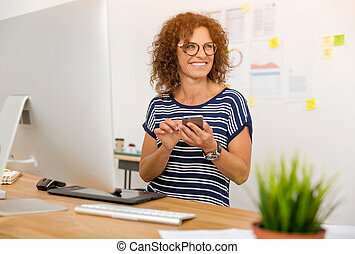 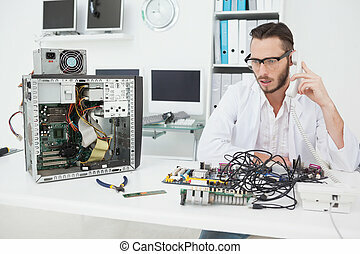 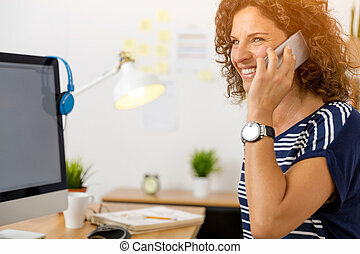 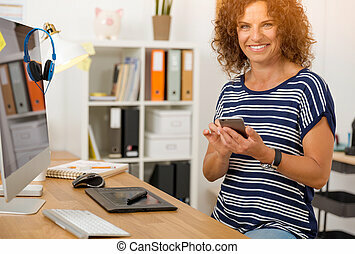 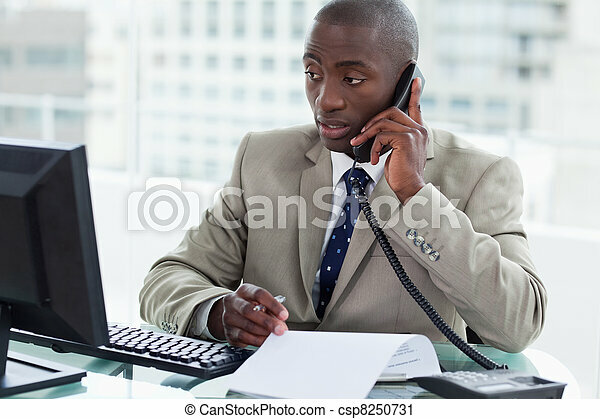 Entrepreneur making a phone call while looking at his computer in his office. 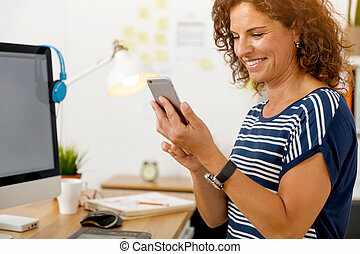 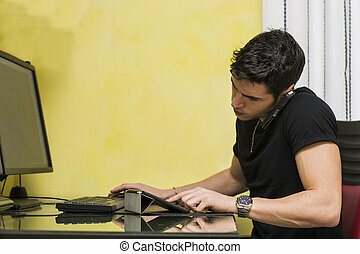 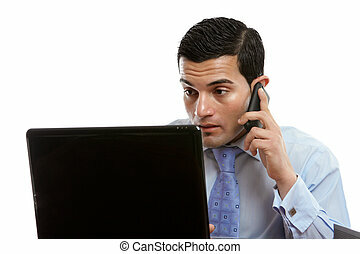 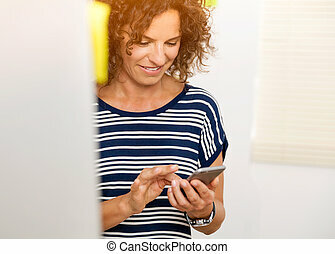 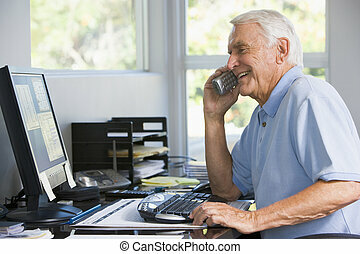 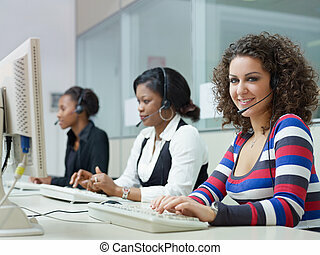 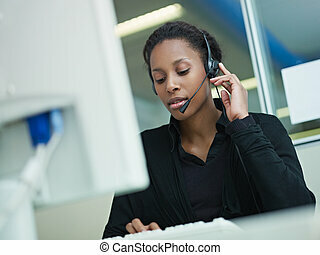 A man sitting at his computer is making or receiving a telephone call. 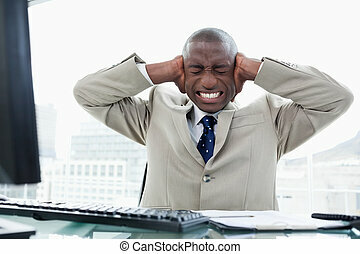 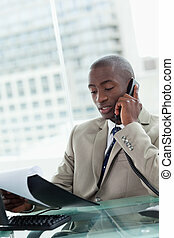 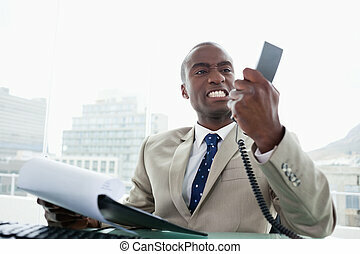 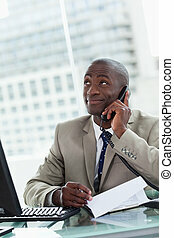 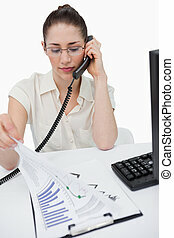 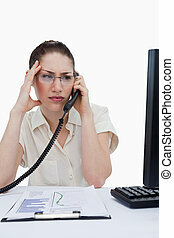 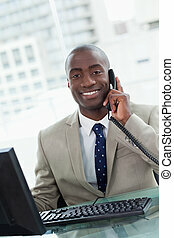 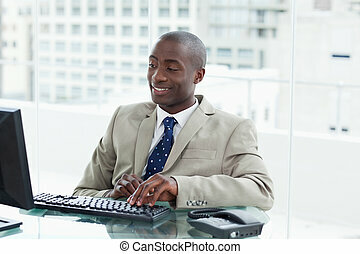 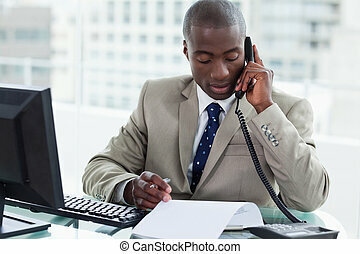 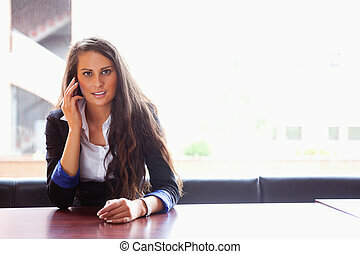 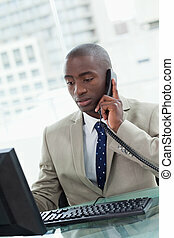 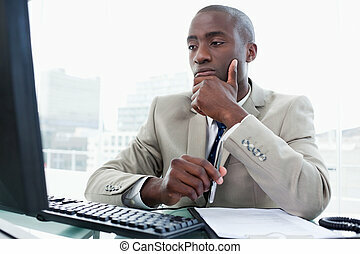 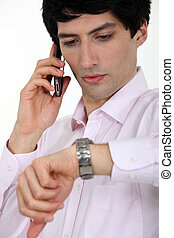 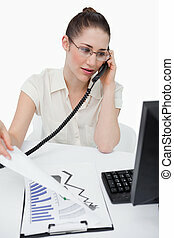 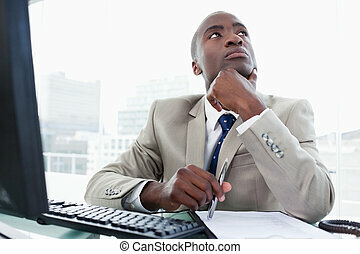 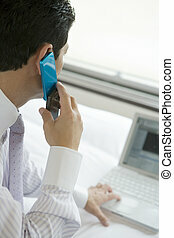 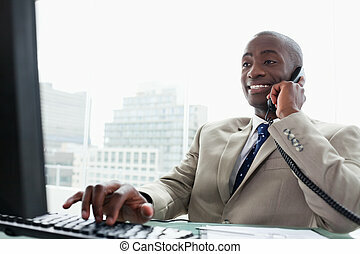 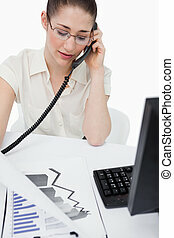 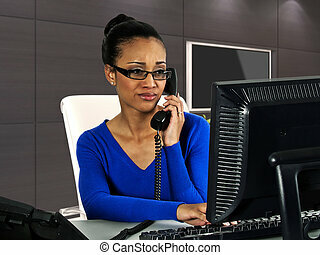 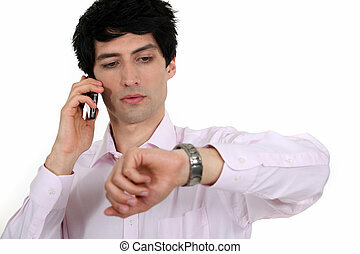 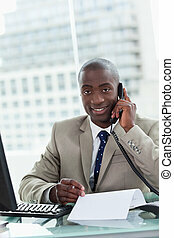 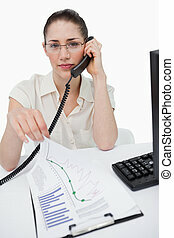 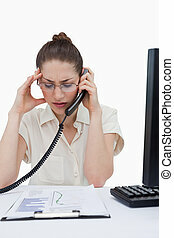 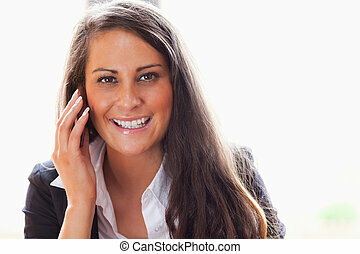 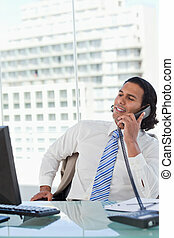 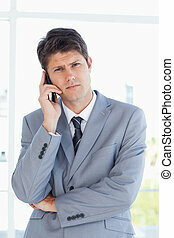 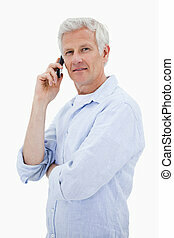 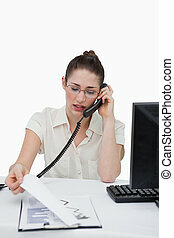 A businessman over the phone looking at his watch.